Jules Edouard Moscoso (57), a cousin of the two kidnapped victims of the network of Clifford Brandt was shot dead early Sunday morning December 9, 2012 in his home, 40 meters from a United Nations peacekeeping base in Léogane. Jules Edouard Moscoso, owned Dolphin, a private water company and is the cousin of Sogebank CEO, Robert Moscoso, whose two children, Nicolas and Coralie, were freed by Haiti police on October 22, 2012 after being kidnapped for a ransom of $2.5 million. 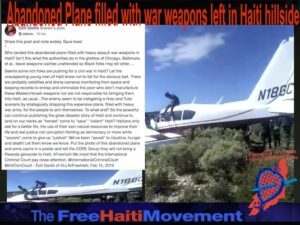 It is largely suspected that this killing is not unrelated and that it’s the corrupt US cold war kleptocracy – Haitian elite mafia families – settling scores within their brutal ranks. On Monday, October 22, 2012, Hollywood helped the Clintons inaugurate the US’s flagship sweatshop at Caracol, Haiti. Outside, protesting Haitians who don’t applaud are arrested and silenced. 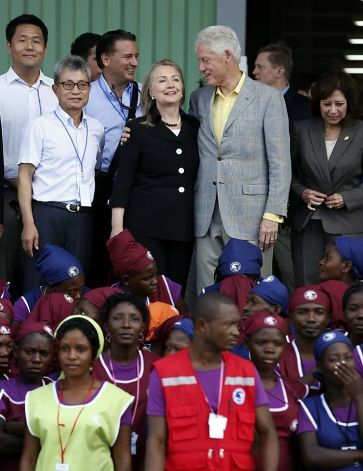 On Monday, October 22, 2012, another dirty business enterprise was being exposed while the Clintons and their wealthy Hollywood celebrityfriends were showcasing the Caracol hoax, sharing a romantic moment -“opening Haiti,” yet again, with the sharp media propaganda tools of providing relevant “jobs and housing” for Haiti. Clifford Brandt, son of the wealthy Fritz Brandt and a member of one of Haiti’s billionaire families, was arrested at his place of business and put in handcuffs, accused of being the mastermind behind an organized kidnapping ring in Haiti. According to Haiti officials, Clifford Brandt admitted his involvement in several kidnappings including the October 16, 2012 kidnapping on Bourdon Road of Coralie (23) and Nicolas Moscoso (24), two members of another wealthy Haiti family. On Tuesday, Oct. 23, 2012 at 3:am, the morning after his arrest, interrogation and confession, Brandt took police to the place where the two young Moscoso adults were being held. Police freed them. Clifford Brandt is the managing director of Mazda dealership in Delmas Haiti. Local Haitians call this foreign-authored organized criminal activity: Ayisyen kidnape, Blan fè pri. In a Haiti radio public broadcast, Haiti State Secretary of Public Security, Reginald Delva, interviewed by Gary Pierre Paul for Scoop FM maintains that documents show the kidnapping network Clifford Brandt is involved with demanded U.S. $2.5 million for the release of the two Moscoso victims. This is an on-going investigation explains Mr. Delva. He says authorities found a list of folks Clifford Brandt’s kidnapping ring had “a macabre plan” to kill or kidnap for the coming Christmas season. Sources confirm that this well-connected mafia ring has been in operation for some time wreaking havoc in Haiti. What do kidnappers look like? The Untouchables: It will surprise no one in Haiti if this case is suddenly reduced to a rumor despite the photos of Mr. Brandt in handcuffs at the police station and HaitiState Secretary of Public Security, Reginald Delva public statements. Most likely, if the local Haiti authorities who broke this case are not serving a neo-colonial purpose, the ruling imperial hands may have them silenced, marginalized, fired or worse. Those who serve foreign interests, or are well connected enough to these authorities to buy their freedom, do not, like the criminalized Haiti poor, remain in prison. In 2005, another wealthy Haitian businessman in Haiti was arrested in relation to a slew of kidnappings and crimes. Besides the Stanley Handal example (whose case was dismissed), others connected to power and empire who still roam free, with complete impunity in US/UN occupied Haiti include: Accused kidnapper “Jerry Narcius” suspected to work for the UN; DEA-suspected drug trafficker Guy Philippe; the 2004 coup d’etat/US regime change paramilitary enforcers known as the Lame Timanchèt death squad assassins; kidnapper arrested linked to wealthy families working with Lame Timanchèt ; Michael Lucius, a top Haitian police officer indicted for kidnapping; the 15 police officers who were to face the bar of justice for brutal murders ; Louis Jodel Chamblain; and Emmanuel “Toto” Constant, the FRAPH head of the 1991 coup detat/US regime change paramilitary enforcers charge with thousands of murders, rapes and crimes against humanity. Toto Constant was granted a US visa and residency until finally caught and put in prison on mere bank fraud charges there. The distraction to note is that since this summer and throughout September 2012, the US-supported Martelly government has face almost daily protest demonstrations from practically all sectors of the society. This Brandt kidnapping case changes the discourse. Moves the focus from the people issues of foreign gold/oil pillage, the internationally sponsored Caracol hoax of jobs and housing for Haitians and basic discontent towards the Martelly/Lamothe government to this alluring Ninja Brandt kidnapping issue. Bagay gwo zenglendo sa yo pa janm soti deyò konsa. La Sosyete, fòk nou konprann. Se yon jwèt pou pouvwa ant gwo volè, bagay malfektè. Yon krim vre kap itilize pou rezon pa yo, pou zafe zòt, pa zafè nachon an. Yon distraksyon. Ouvre zye nou. Veye yo.”–Ezili Dantò of HLLN, Oct. 24, 2012 on the Brandt kidnapping case. 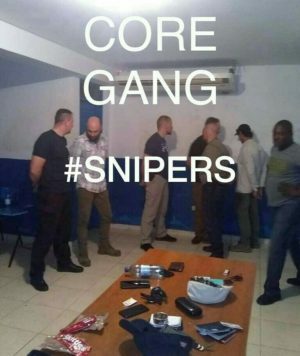 On the street sources indicate that Clifford Brandt has bragged to having 275 Haiti police officers on his payroll and was in charge of 15 gangs. Secretary of Public Safety, Reginald Delva, indicated that senior police officers and former police officers including former police inspector Mr. Edner Comé were actively being sought, suspected of being part this organized kidnapping ring. Brandt’s defense lawyer, Delatour Calixte, told Scoop radio that Brandt did lead police to where the two Moscoso victims were being held, but denied his client participated in a kidnapping. Calixte told Scoop’s Gary Pierre Paul that “removing a person is not the same thing as kidnapping…There’s a difference between kidnapping and a personal feud.” Calixte, in his public radio Scoop interview, defended Brandt saying this was not a kidnapping as his client did not ask for a ransom. Calixte suggested Brandt may have organized their “removal” in a power play to settle a business dispute – that this was a settlement of scores between two wealthy families. Nicolas and Coralie Moscoso found handcuffed and blindfolded in bathroom at an abandoned house. Kidnapped by faked police in black hood. Rescued by real police in black hood! Calixte, when pressed, would not elaborate on the “personal feud” or as he said, “un règlement de compte” that caused the “removal” of the Moscoso victims who were found held hostage, handcuffed and blindfolded inside the abandoned residence Clifford Brandt took the police to. Nicolas and Coralie Moscoso found handcuffed and blindfolded were kidnapped by fake police in black hoods and rescued by real police, also wearing black hoods. No wonder the victims kept their heads down and were so terrified to take off their blindfolds when their police rescuers appeared. (See Haiti police rescue video at 3:49). Alterpresse reports that Brandt is the suspected mastermind of not only a kidnapping ring, but a powerful criminal syndicate practicing forgery, counterfeiting and money laundering. During police searches conducted at Brandt’s place, police said they found police equipment, flashing lights (des gyrophares) and a set of license plates of vehicles. They were planning “attacks against public authorities…This is a solid team. They are true professionals, which speaks of big organized crime,” said Frantz Lerebours, spokesperson for the Haiti National Police (PNH) force. More and more, this Clifford Brandt kidnapping case sounds like that other wealthy businessman kidnapping case, all over again. This time, perhaps the victims will be heard and it won’t be business as usual. One thing is for sure, Robert Moscoso, the father of the Brandt kidnapped victims, would probably have given his entire fortune to get his children back. The business model of making decisions based on cost effectiveness priorities and making a profit at all cost, suddenly did not apply. Until civil society stops equating business interests as the same as governmental interests or the common good, it will be business as usual. Where’s the Haitian, courageous enough to ride Galipòt – Janjak Desalin‘s fictional horse – and put a stop to the organized international crimes in Haiti? Perhaps it’s the ones, like the policemen, who risked their lives and careers to rescue the Moscoso victims. Chapo ba and kudos to them. (Check this link again for updates. In the photo, Haiti Oligarch, Grégory Brandt, President of the Chamber of Commerce and Industry Franco-haÃ¯tienne : “Mes enfants ont étudié Ã l”étranger mais ont choisi de revenir Ã HaÃ¯ti malgré la situation. Et j”en suis très fier” – “My children studied abroad, but they chose to come back to Haiti, despite the situation. It is my greatest source of pride.” Crédits : Paolo Woods / Institute (Source: Les Nantis D”Haiti;Haiti’s 1 Percent: A look at the lives of plenty in the land of the poor.) Serving maids, gardeners and butlers for blan (foreigners). Clinton/Obama and the Haiti Oligarchs “development” for Haiti is Caribbean-style tourism where Haiti’s huddled masses are exotic backdrop, convenient bodies and props for privileged Northern tourists, Paul Farmer’s false NGO benevolence and the Caracol hoax used to fleece Haiti out of its vast oil, coast lands, $20billion in gold and mineral resources. 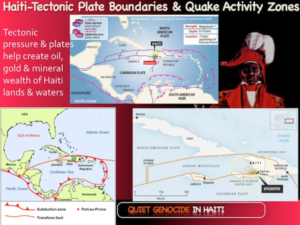 Gold Rush in Haiti – Good for whom? Ezili Dantò’s Note: Here is a Kreyòl radio broadcast where voiceless Haiti, not the Avatar crew, speak about their lives in Caracol Haiti. Yesterday, during the opening of the Caracol park, those Haitians who didn’t readily applaud the Martelly gov, the Clintons, Sean Penn, Richard Branson, Donna Karen Avatar crew, the opening of the Caracol mothership/Avatar Haiti were pushed out of the way, some even immediately arrested. One person who talked on this Oct 22nd broadcast about the repression was immediately arrested by the special police from FortLiberte. PORT-AU-PRINCE, Haiti (defend.ht) – “As of today everything is rumors,” Cedric Brandt said about the arrest of his cousin, a businessman named Clifford. Brandt said the family is praying for his cousin and is happy that the Moscoso’s were returned to their parents. “Some say other people are involved but nothing is confirmed…” Brandt messaged DH noting that it is an investigation that is constantly evolving. young Brandt said the relationship between the family and his cousin Clifford had become estranged. Clifford has been cooperating with police even taking them to where the two kidnapped victims were being held. “As a cousin today we are happy that the Moscoso parents were able to get their kids and we are praying now mostly for Clifford’s parents who are suffering a lot,” he concluded in a statement. Police say the kidnappers requested $2.6 million for the release of Coralie, 23, and Nicolas, 24, Moscoso who were picked up on Bourdon Road. The police call it “enlevman” and defense lawyer Calixte Delatour said there exists a difference between “ènlevman” and kidnapping. Clifford Brandt, fils d”uneriche famille haÃ¯tienne a été arr êté par la police nationale dans une affaire de kidnapping oÃ¹ il aurait participé Ã l”enlèvement de deux enfants en octobre dernier, a appris Haiti Press Network de source policière. “Oui Clifford Brandt a été ar ête. Il est actuellement en detention Ã la Direction de la police judiciaire (DCPJ)”, a indiqué mardi Ã HPN le porte-parole de la police nationale annonÃ§ant l”ouverture d”une enqu ête. Selon Frantz Lerebours joint au téléphone, Clifford Brandt n”a pas nié son implication dans l”enlèvement le 16 octobre dernier de Coralie et de Nicolas Moscoso, deux enfants d”un entrepreneur haÃ¯tien. Le kidnapping a été effectué sur la route de Bourdon, a informé la police. “Les mobiles de l”enlèvement des enfants Moscoso ne sont pas connus, mais il pourrait être fait dans le but de gagner de l”argent . De toute facon une nenqu ête criminelle est en cours”, a déclaré Frantz Lerebours peu bavard sur cette affaire. HaÃ¯ti/ Mafia : L”homme d”affaires Clifford Brandt appréhendé pour kidnapping par la PNH. 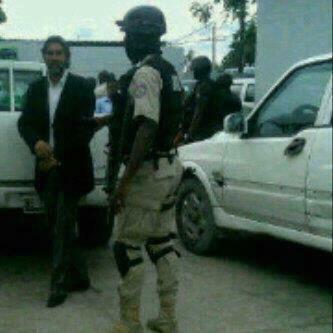 Oct 23, 2012 08h11 | Par BZ , Source: Bonzouti.com La police nationale d”HaÃ¯ti a appréhendé dans l”après-midi de ce lundi 22 Octobre Clifford Brandt, fils de l”homme d”affaires Fritz Brandt, accusé de kidnapping. Cette arrestation a eu lieu Ã Delmas 02 lors d”une opération musclée entamée depuis dimanche dernier. Deux enfants des Moscoso kidnappés depuis plusieurs jours ont été retrouvés et libérés par la PNH. Celle-ci affirme avoir retrouvé dans le fief des kidnappeurs une liste de personnalités Ã kidnapper au cours de la période des fins d”année. Clifford Brandt aurait reconnu son implication dans plusieurs kidnappings dont celui des enfants Moscoso. Sur les réseaux sociaux on félicite la PNH pour l”arrestation de ce gros bonnet de la mafia haÃ¯tienne, on craint également l”évasion de prison de Clifford Brandt. Notons que le mafioso Clifford Brandt est le directeur de la Maison Mazda Ã Delmas. Il exigeait 02.5 millions de dollars américains pour la libération des deux enfants Moscoso. PORT-AU-PRINCE, Haiti — Police detectives are investigating the son of one of Haiti’s prominent families for his alleged role at the center of a kidnapping ring, authorities said Wednesday. 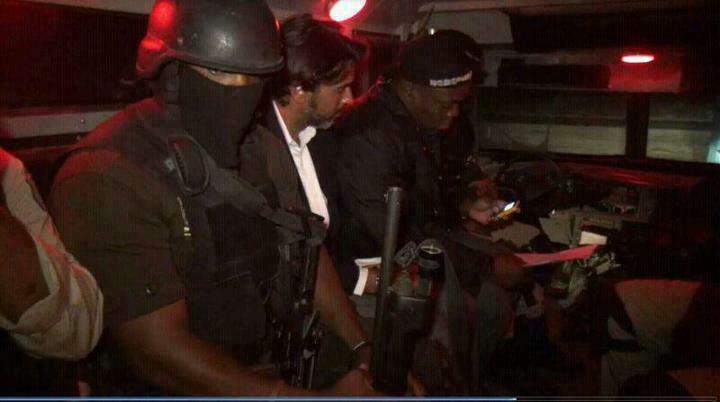 Police spokesman Frantz Lerebours said businessman Clifford Brandt was locked up Monday on suspicion of involvement in kidnapping two children of another family in the capital, Port-au-Prince. Lerebours said Brandt took investigators to the place where the children were being held and police freed them. Detectives also jailed two alleged accomplices suspected of driving a Toyota Land Cruiser to carry out the kidnapping. The two suspects were caught as they tried to cross the border into the neighboring Dominican Republic, Lerebours said. Brandt runs a car dealership and is the son Fritz Brandt, head of a prominent Haitian family that has extensive holdings in export-import businesses. Secretary of State for Public Security Reginald Delva told Scoop FM radio that the kidnapper demanded more than $2 million for the release of the two abducted children. Brandt’s lawyer, Delatour Calixte, told Scoop that Brandt did lead police to where the children were being held, but denied his client participated in a kidnapping. He suggested Brandt may have organized their “removal” in a family dispute. PORT-AU-PRINCE, Haiti (AP) — A Haitian police spokesman says detectives are investigating the son of one of Haiti’s prominent families for his alleged role at the center of a kidnapping ring. Haitian police spokesman Frantz Lerebours says Clifford Brandt was locked up Monday on suspicion of involvement in the recent kidnapping of the children of another family in Haiti’s capital, Port-au-Prince. Lerebours says Brandt took investigators to the spot where the two children were being held and police freed them. Detectives also jailed two alleged accomplices suspected of driving a Toyota Landcruiser to carry out the kidnapping. They were caught as they tried to cross the border into the Dominican Republic. Brandt’s lawyer says his client is innocent. Lerebours made the disclosure to The Associated Press on Wednesday. That strategy, part of a “build Haiti back better” vision, took a crowning if controversial step this week. On Monday, Haitian President Michel Martelly, joined by U.S. Secretary of State Hillary Clinton and a host of political and business luminaries that included her husband (and U.N. special envoy to Haiti) former U.S. President Bill Clinton, inaugurated the Caracol Industrial Park, a $300 million, 600-acre (246-hectare) facility near the country’s north coast, east of the seaport city of Cap Haitien. The Caracol inauguration was the first joint trip to Haiti by the Clintons since they visited the Caribbean nation shortly after they wed in the 1970s. Now they’re hoping Caracol will be the start of a more productive marriage between Haiti and the international donors and investors it so desperately needs just to build back, let alone build back better. The Caracol park had actually been in the works since 2008. 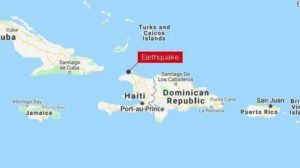 But the earthquake gave the project”a joint effort by the Haitian government, the U.S. State Department and the International Development Bank, which committed an initial $55 million for construction”a more urgent impetus. What’s more, it has become a hub for broader development in the north. Cap Haitien’s airport is undergoing an expansion, funded by Venezuela and Cuba, which allowed it to receive its first large international carrier this month. A gleaming, $30 million campus of Roi Henri Christophe University, built by the Dominican Republic, is set to enroll its first students in two weeks. A new port is planned for nearby Fort-Liberte, though it is currently on hold due to environmental and political tensions. Caracol’s founding private investor, South Korean textile company Sae-A Trading Co. Ltd., which planted $78 million into the park, has already begun production”and the 1,000 Haitians it has so far employed sent their first order, a batch of 76,000 T-shirts for Walmart, last week. “The easiest job to create is [in] textile garment manufacturing,” says George Sassine, general director of SONAPI, Haiti’s national governing body for industrial parks and one of Caracol’s earliest backers. “It’s a very light investment, but it influences a lot of people.” Caracol “is not the panacea for Haiti’s economy,” he adds. But “we want to show this as a showcase of what can be done.” Says Josepha Gauthier, Haiti’s Works and Social Affairs Minister, agrees: “I always believe that Haiti’s development will come through its countryside” and provinces, not Port-au-Prince. There are also tensions between industrial developments like Caracol and the just as urgent, if not more critical, need to foster agriculture in Haiti, which imports more than half its food. Gabriel Charles, 45, had employed as many as 30 people at a time to farm corn, sweet potatoes and beans on the fertile land around the town of Caracol. “I had a hectare [2.5 acres] and that hectare took care of my family,” says Charles, who had to give it up for the park but says the compensation he received for it was inadequate. “I agree with the industrial park,” he says. “But you [also] have to take care of the peasants.” Other displaced farmers, still awaiting alternate plots of land that were promised them, are protesting what they call the park’s adverse economic effects, including the recent doubling of the price of beans, due in part to reduced harvests. Environmental issues loom large as well: experts fear increased industry could harm Haiti’s ecologically important yet fragile northern coastline, including coral reefs. So do concerns that while developing the north is a good thing in the long run, it doesn”t solve the more immediate post-quake suffering in the south”including the nagging tragedy of hundreds of thousands of homeless Haitians still living in squalid tent camps. Critics also point out that the lure of industrial jobs in the 20th century was a cause of Port-au-Prince’s overcrowding and the proliferation of its notorious slums. They warn Martelly and international donors to avoid the same phenomenon in northern urban areas like Cap Haitien, Haiti’s second largest city. Read more:In Haiti, the western hemisphere’s most underdeveloped nation, the north is one of the most neglected regions, snubbed for centuries by a political and economic elite entrenched mainly in the country’s southern capital, Port-au-Prince. 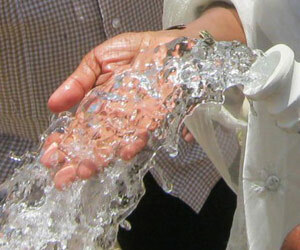 But Haiti’s massive 2010 earthquake, which wrecked Port-au-Prince and killed more than 200,000 people, made domestic leaders and international donors alike realize that Haiti has to start developing away from its overpopulated, quake-vulnerable south and tap the potential of northern cities like Cap Haitien. HE LIKED to be called the ‘Shooting Star,’ used his red sports car as target practice and led the menacing black-hooded group known as the ‘Ninjas’ who guarded Haiti’s de facto military ruler, General Raoul Cedras. In the biggest coup so far for the US occupation force here, American troops on Sunday night detained Romeo Halloum, officially known as General Cedras’s chief of security, but widely believed to control the so- called ‘attaches’ or para- military thugs who have long ruled the streets. The shadowy Mr Halloum, aged around 38, is an American citizen and he claims to have served in Vietnam. The Americans also detained his three brothers, and a fifth man who formed the ‘Ninjas’ in one of a series of raids aimed at netting armed opponents of the exiled President, Jean- Bertrand Aristide. The five, thought to have been moved to US Navy vessels off-shore, are all of Syrian or Lebanese origin, part of a core of Arab families who control a large chunk of big business in Haiti, thought to include arms and drugs smuggling. Mr Halloum was believed to have had control of Port- au-Prince airport, allowing him to smuggle in goods and break the UN embargo. General Hugh Shelton, commander of US forces on the island, yesterday described Mr Halloum and the other detainees – thought to be Ramses Halloum, Jerry and Patrick Mourra and Alex Fonbrun – as ‘thugs’. He said that one of them had been involved in an incident last week, in which a grenade was thrown at Aristide supporters, killing seven people and wounding 60. Mr Halloum is the son of a well-known Haitian-American of Lebanese origin, who was a captain in the US army. He was raised in Miami and surfaced publicly about a year ago as General Cedras’s chief of security and bodyguard. As the US stepped up talk of an invasion a few months ago, the so-called Ninjas began appearing with General Cedras in public, dressed in black uniforms and black hoods. Reporters who knew him recognised Mr Halloum’s hazel-green eyes. He was fond of threatening journalists. When a United Nations convoy was stopped by 30 attaches at a roadblock two months ago and robbed it of its walkie talkies and other equipment, UN staffers recognised Mr Halloum as the leader. Tate Watkins, Source: The AtlanticMay 8, 2013A major industrial park has been touted as a solution to the troubled country’s economic woes. Does it really deserve the hype? The reality is that the park could be both a quick way to create jobs and a means to boost the nation toward industrialization–and many locals, at least, say it gives them hope. 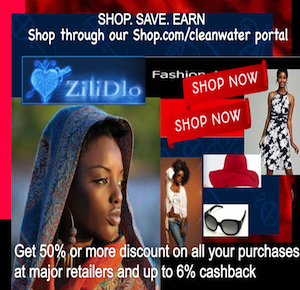 But its success depends on manufacturers there making the transition fairly fast from cheap clothes to higher-value products–or else on the U.S. continuing to give preferential trade terms to Haitian goods. 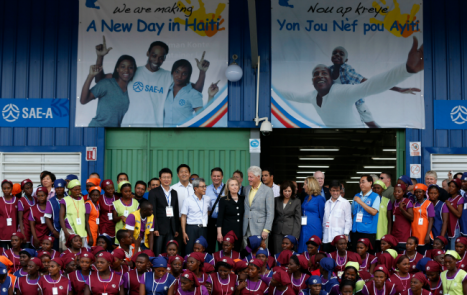 Sae-A public affairs officer Karen Seo says the “decision to invest in Haiti became clear” with the international aid package. But there was one other sweetener, which officials say was the linchpin of the whole deal: U.S. legislation that, with a few conditions, gives apparel imports from Haiti duty-free status. Experts caution that in the global textile industry, margins in low-value production can hardly pay Haiti’s $5 per day minimum wage. The project has been controversial. Building it meant displacing about 350 familiesfrom the fertile stretch of state-owned land that an American consulting firm identified as a suitable spot. The area contains an important watershed, which makes it prime farming land, and some worry that the park’s water usage and disposal could upset the local ecology. Most residents either fish or grow crops such as black beans or plantains. Mangroves grow in the bay, home to one of Haiti’s few intact coral reefs. Both guard against shoreline erosion and provide wildlife habitat; a 2009 study estimated the direct economic value of the mangroves and reef at $110 million. Local officials say they weren’t consulted about the park’s potential location. Last month’s collapse of a garment factory in Bangladesh has put the conditions of workers who make clothes for the rich world in the spotlight. In Haiti, U.S. trade preferences require the creation of a program called Better Work, run by the International Labor Organization, to bring labor laws up to international standards and inspect factories. Many factories don’t yet meet the standards (pdf, p. 15), particularly on health and safety and minimum wages, but the Caracol facility is too new to have been included in the latest Better Work report. Others worry about the social consequences. 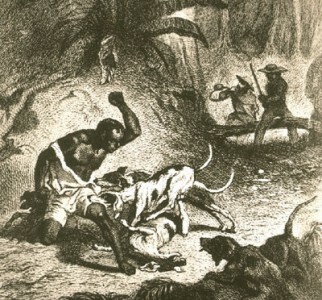 Amy Wilentz, one of the best known American writers on Haiti, called the park “a new kind of plantation” and compared low-wage factory work to slavery. Others have decried the idea of using low-paying factory jobs as a step in the country’s development. Some say that Haiti has already tried this strategy, and failed, or that the investment would be better spent in agriculture. It’s certainly true that Haiti’s apparel sector has boomed before. A 2010 Congressional Research Service report estimates that it employed up to 100,000 people between the 1960s and the end of the Duvalier dictatorship in 1986. A military coup in 1991 led to a trade embargo that hamstrung the industry, at the same time that competition was growing from regional neighbors like Honduras and emerging markets in Asia. Apparel manufacturers have slowly rebuilt since the end of the trade embargo, with the help of a U.S. law passed in 2006 that allowed Haitian apparel to enter America duty-free. The law, known as HOPE (the Haitian Hemispheric Opportunity through Partnership Encouragement Act) was amended and expanded in 2008, and after the 2010 the earthquake, expanded once again through HELP (the Haiti Economic Lift Program). Employment in Haiti’s textile sector has rebounded to about 30,000. In 2009, knit and woven apparel accounted for 92% of Haiti’s exports to the United States. Haiti needs growth like that to counterbalance its large trade deficit–$3 billion in 2011 according to the World Bank, or 41% of GDP. Haiti exports crops such as mangoes, cacao, and coffee, but agricultural products comprise only about 6% of all exports. The country imports 80% of the rice it consumes, mostly from the United States. Decades of deforestation and soil erosion, the lack of a modern farming sector, and government subsidies doled out to American farmers make it difficult for Haitian farmers to compete globally. “Working in a factory is not a gift,” says Garoute, “but believe me, sitting in Trou-du-Nord and do nothing, and you are 24 years old, that is worse.” In 1992, Garoute founded INDEPCO, a non-profit network of tailors across Haiti who sew school uniforms and other garments for the domestic market. It also does training sessions, like one it held last year in the northern town of Trou-du-Nord for a group destined to work at the Caracol park. But in the global textile industry, margins in low-value production can hardly pay Haiti’s $5 per day minimum wage, Garoute says. “They have China making t-shirt,” he says. “They have India making t-shirt. You have Pakistan making t-shirt. And don’t forget, those countries make the raw material as well.” He says that Haiti’s textile industry will only grow into higher-value-added production with proper investment in the workforce. Her story is similar to other published accounts, and that of Rosedaline Jean, a 22-year-old who’s worked for Sae-A for five months. “Before, I lived only by the grace of God,” says Jean. 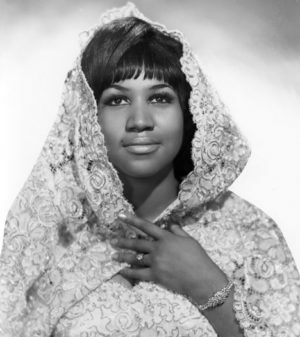 “Although I don’t have a husband or children, my life wasn’t easy because I wasn’t working. When I got here, a lot changed in my life. Sae-A shipped 76,000 t-shirts to Wal-Mart in October of last year, the first products from the factory. It now employs 1,400 people and says that number will double by the end of 2013. It hopes to create 20,000 jobs in total over the coming years. The park’s only other tenant is Peintures CaraÃ¯bes, a Haitian company that makes paint for Sherwin-Williams and employs about 200 people. Last month, U.S. garment company Safi Apparel signed a contract to become the park’s third occupant. 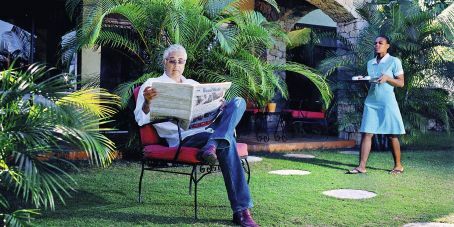 Georges Sassine, a Haitian textile manufacturer and and the former head of SONAPI, the Haitian industrial parks agency, says the industrial park’s cheap-manufacturing strategy is “just a time-buying procedure.” But he is adamant that the Caracol development is viable only thanks to the duty-free access to America. The extension granted by U.S. lawmakers after the earthquake continues that tariff exemption until 2020. Whether Haiti can develop a higher-value-added textile sector by then–or whether U.S. lawmakers extend the legislation again–remains to be seen.